MCA Motorcycle Accessories Supermarket has offered the largest range of motorcycle clothing, parts & accessories since 1973. By 2016 the company has grown from one small store in Western Sydney, to 5 stores covering the Sydney area as well as a major online presence. Our Sydney stores include: Auburn flagship Superstore of 3000sq.metres, Penrith Superstore 2200sq.metres, Campbelltown Superstore 2700sq.metres, Caringbah Superstore 2400sq.metres, and our popular City store. We were constantly being asked to bring our range to Melbourne by riders and suppliers, and in April 2016 we did just that. We opened our first Superstore in Dandenong, 121 Frankston-Dandenong Rd, 3300sq.metres of the largest range Melbourne has seen. We found a great team and the store has become more and more popular with the Melbourne motorcycle community. In 2017 we added a 600sq.metre store in Ringwood to further expand our availability to the Melbourne market. We had been looking for a site large enough on the other side of the City for quite a while due to numerous requests from the City, Western Suburbs, Northern Suburbs & Geelong, Ballarat & Bendigo areas. We are proud to now have a 3000sq.metre Superstore at Keilor East. 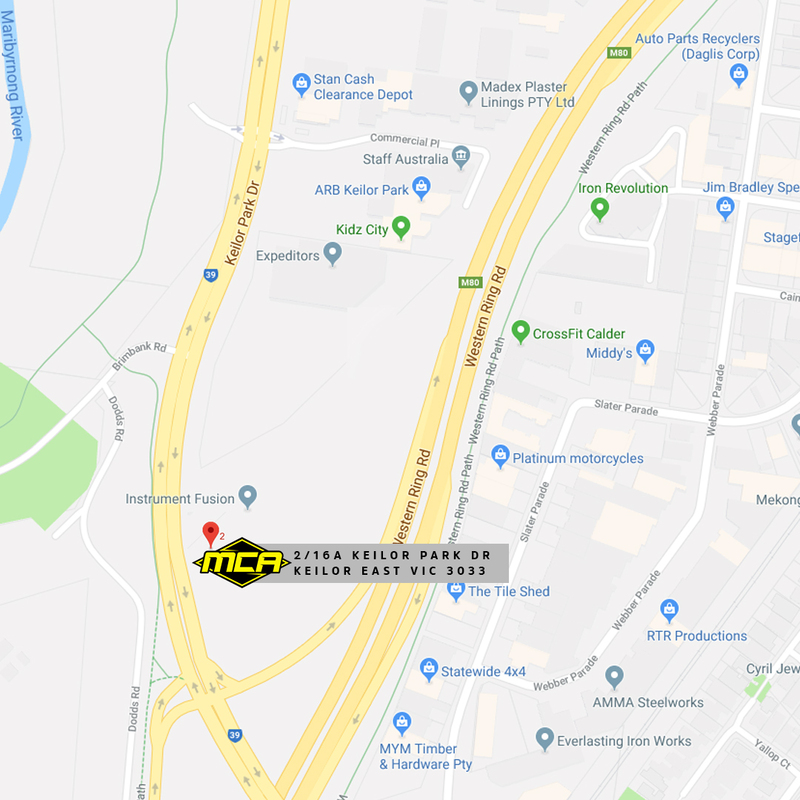 We are located at Shop 2, 16A Keilor Park Drive, Keilor East with stacks of parking and a massive range of motorcycle gear that can only be equalled in Victoria by our Dandenong Superstore. We are bringing the World’s best brands and the largest range to more Victorian riders -all under one roof. With easy access from the Western Ringroad and Calder Highway, we look forward to seeing you soon. Our team offer excellent service and are all fanatical riders.